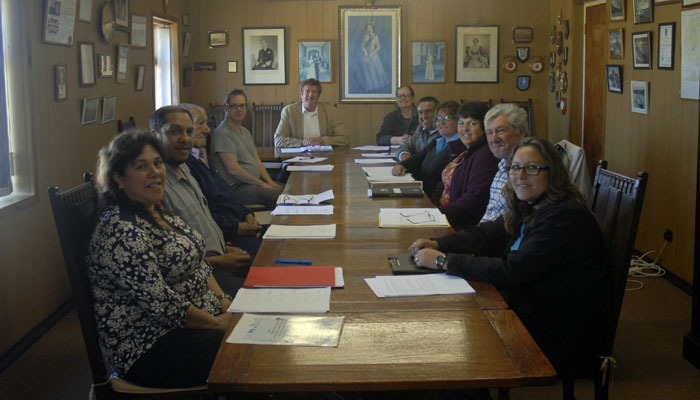 Tristan da Cunha has a fixed term Island Council of three years. 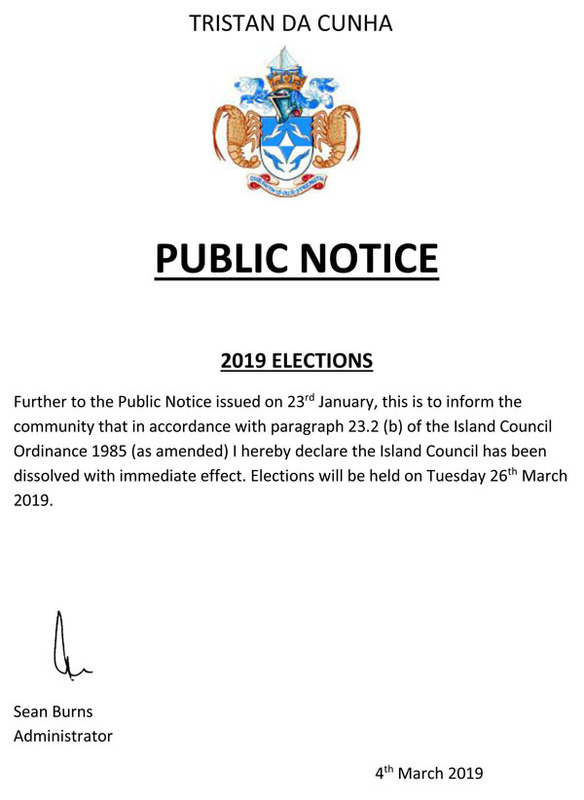 The 2016-2019 Island Council was formally dissolved on Friday 1st March 2019 and arrangements made for nominations to be submitted by Monday 11th March for the new council. Photo showing a meeting of the 2016-2019 Island Council held in the Council Chamber on 14th December 2016. Nomination forms can be collected from the Administrator's Office. The forms must be completed and signed by the candidate (who must be a registered elector) and countersigned by two other registered electors. No elector may nominate more than eight candidates. Nomination are for the vacant posts as Island Councillors and for Chief Islander, who must be elected as an Island Councillor in the election to be eligible. Nomination forms must be given to Alasdair Wyllie (Agriculture Adviser) no later than 1800 on 11th March at the Agriculture Adviser's Office.